Heating and air technicians carry many tools in their tool-bags. One in particular is the sawzall. The sawzall is also known as a reciprocating saw. These saws are versatile, reusable, and a must have for every HVAC technician. These sawzalls are not like corded saws that stay near an outlet or the work truck. Sawzalls go everywhere -- from the attic, to the unit outside, to the crawlspace under homes -- helping HVAC technicians get the job done quickly and efficiently. A sawzall is an important tool for every HVAC technician to own and have handy when on a job site. The heating and air technician encounters many different types of materials on the job site, and the sawzall can cut through them all. A circular saw is useful for cutting through wood, but a HVAC technician often cuts through metal and pipes. Heating and air technicians are always cutting through something on the job, and the sawzall is the recommended tool of choice. The sawzall can handle the metal, wood, and any other material. Heating and air technicians are often cutting through old condensers, drywall, and sheet metal. The sawzall cuts through the messy and tough materials. It can also cut through PVC Pipe or tree limbs that are in the way of an outdoor unit. It is ideal for cutting materials overhead, and it can cut through multiple kinds of materials without the need to change tools. You may need to change blades, but that is easily done. The sawzall is an all-purpose cutting tool. It is perfect for making plunge cuts into walls, old units, attics, or sheet metal. It is wise to cut slowly when cutting through metal using a reciprocating saw. Using a slower speed prevents the blade from overheating due to excessive friction. If you are cutting metal, be sure to go very slowly in the beginning or the sawzall can run away and just skid over the metal surface. If you are cutting new sheet metal for ductwork, place the metal sheet between two sheets of plywood. This will give a clean cut to the metal without a tear. The sawzall is a cordless, battery-operated power tool. It can be carried into the dark recesses of the attic or crawl spaces beneath homes where the HVAC technician dares to go fix problems and install new ductwork or equipment. A corded saw puts the HVAC technician on a leash, and they can only go as far as the electrical power cord allows. The technician has to make additional trips to the corded saw or link additional extension cords to get to the spot where the sawing must take place. Cords can become frayed when dragged across the ground or pulled taut. This can become a liability for the tool and the HVAC technician. The cordless sawzall will only cut as long as the battery is charged. With some brands of cordless drills and cordless sawzalls, the batteries and chargers are interchangeable. The prepared HVAC technician will have a couple of extra batteries on hand that are charged and bring a charger along to recharge the batteries when the power has been expended. Some HVAC technicians recommend owning both the cordless and the corded sawzalls. They use the corded sawzall outdoors for cutting sheet metal for ductwork. They also use it to cut away old condensers. 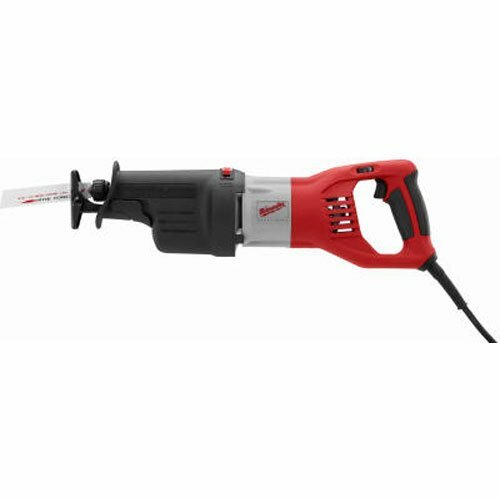 The corded sawzall is heavy duty and able to be used near a power outlet. Under heavy use, the cordless battery drains fairly rapidly. However, the portability and usability outweighs this problem. HVAC installers sometimes work on job sites that do not have electricity available. The cordless sawzall is the tool of choice in this situation. Work can go on even without a power outlet. There are several sawzall power tools available on the market. We have reviewed the following products and found that the DEWALT cordless reciprocating saw is the top choice for many HVAC technicians. The Milwaukee, Makita, and the Bosch reciprocating saws are capable of getting the job done. The Bosch has its plusses, but also has a lot of issues with the blade clamp. The 6538-21 15.0 Amp Super Reciprocrating Saw is a product manufactured in the United States. It is able to maintain a constant speed. This model sawzall has reduced vibrations and is easy to use. It is noisy at the highest speed, so be sure to wear earplugs to protect your ears. This model is durable and will last for several years if properly maintained. Milwaukee is a high end tool brand, and you will definitely get a quality product if you purchase this particular sawzall. 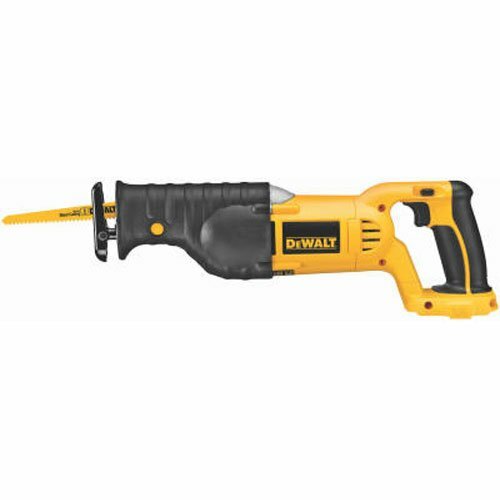 The DEWALT Bare-Tool DC385B is the favorite cordless reciprocating saw on the market. HVAC technicians must change blades in tight spaces such as attics and crawl spaces. The Dewalt sawzall makes this task easy to do with one hand. This model features a lever-action blade clamp, and it does not require a key to change the blade. The comfort grip handle makes it easy to carry and maneuver when in use. All DEWALT rechargeable batteries of the same voltage are interchangeable. This makes it easy to keep all of your tools charged and ready for use on a moment’s notice. Although the blades do not come with this product, you can purchase a variety pack that will meet your needs. It also doesn’t vibrate as much as some other brands when being used properly. The DEWALT sawzall is one of the most durable tools on the market. This is a corded sawzall and does not need batteries. It is a powerful saw, and it is great if you are needing a tough tool for big jobs. But the Makita reciprocating saw might not always be the best choice for the HVAC technician. This saw has electronic speed control and does not slow down when it is in the middle of a cut. If this saw’s blade gets in a bind, the clutch system protects the gears. The Milwaukee 6519-31 is a workhorse power tool. It is a corded saw and has all of the attributes of the Milwaukee tool brand. It features a keyless blade change and is user friendly. With 3,000 strokes per minute, this sawzall can rip quickly through the material being cut. It is a bit lighter weight, at 7.1 pounds. This product will serve you well when working near the work truck or a power outlet. The Bosch RS7 reciprocating saw has a unique feature. It contains dual-LED lights that focus a beam on your cutting zone. Unfortunately, this is not a high quality flashlight beam, but it could definitely come in handy for HVAC technicians working in attics and crawl spaces. This model also has an easy blade to change. It does have a cord, and this is the secondary disadvantage found with this product. It weighs ten pounds and is easy to handle. Be aware of problems with this model. The blade holder and release is reported to be problematic. It does not keep the blade in place and can be a serious problem. 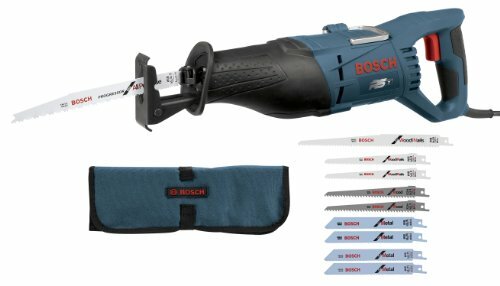 Keep this in mind if you purchase the Bosch RS7 sawzall. The Sawzall is an integral tool for the HVAC technician to own. Choosing to own both a corded and a cordless model is a wise decision for the HVAC technician. Using the corded sawzall for cutting sheet metal or working outdoors is ideal. Carrying the cordless sawzall into the crawl spaces or into the attic is a better choice because it is easier to manage climbing ladders or crawling into tight spaces without a cord in tow. When you are choosing a sawzall, be sure to choose the one that fits best in your hand and works well for you. If you are unhappy with the tool, you will be unhappy daily while you are working with it. The sawzall is a tool you will be using often as an HVAC technician. If you have a reliable sawzall in your toolbox, you won’t have to worry about which tool to use to get the job done.